Building airports in every nook and corner of the state seems to be the new 'developmental craze' in Kerala. Already the expat-dependent state has three airports bestowed the international tag, with nothing more than a handful of flights each to feed its overwhelming population in the middle east. A fourth one in the Communist fort of Kannur is already taking shape(in papers), with the blessings of the political party. And if that's not enough here comes the plan to build another airport, that too International, in the serene countryside in Aranmula in Central Travancore! Not finished, yet another one is proposed in the hilly haven of Idukki!! Mind you, these are not just airstrips for local tourist planes, but fully fledged International airports!! Already there is a healthy(?) competition between the three airports in Kerala for the solitary gulf pie. The only other destination served by our airports is Singapore, apart from the Arabian nations. Make no mistake, this Gulf market is a lucrative one and it is what keeps our airports going. For a state where industrial production or exports are next to nothing, having more airports vying for the same piece of bone doesn't augur well. Especially in a small state like Kerala. Last year Kerala airports served just under 6.5 million passengers, with Cochin Airport handling nearly half of those numbers. Interestingly, these airports carried just 2.1 million domestic travellers, a measly 30% of total traffic. In a big country like India, domestic air travel statistics will be a clear indicator of the economic momentum carried by a city. And the figures expose our sorry state of affairs. Trivandrum & Cochin are beginning to ride the IT wave, and with the ongoing developmental surge in these two cities the figures are all set to be revamped. Calicut, even though being the main city serving the bigger Malabar region fares poorly in the domestic front. The unsound lobby activities as well as an unfair chronic monopoly by Air India also spelt deleterious for this north Kerala airport. 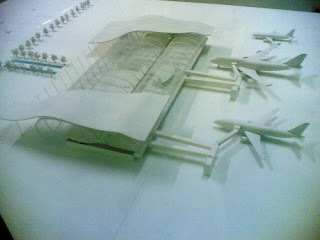 This all means that our airports are still struggling to find their feet in the commercial aviation market. Building two more airports would only help in impeding their growth, and this would further retard the state's economic progress instead of augmenting it. First things first, a new airfield is no magic-carpet to fly in more passengers. It is the airlines that bring in customers and being most optimistic I see nobody other than Air India touchdown at Kannur or Aranmula, that too within the next decade. Remember, even Calicut saw a foreign Int'l carrier other than Srilankan Airlines, only in 2008. And how could we expect domestic carriers to break even on these new sectors with poor economic background? Arguably Kannur has a mushrooming textile industry, all right...but even an established mega textile-industrial center like Coimbatore struggles to maintain a good airline load factor. 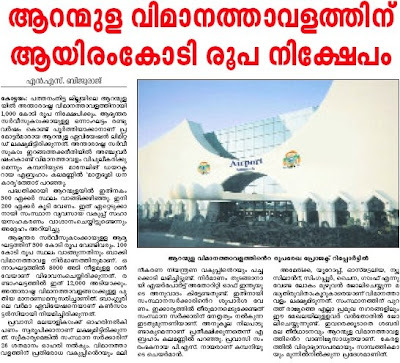 That leaves Tourism as the final straw for the Kannur airport. The proposed airport at Aranmula is also expecting to cash in on the enormous no of Keralites in middle east and also in Europe & the US. Well, it remains to be seen if Lufthansa or United Airlines would zoom in on Aranmula anytime before this century. Apparently, Lufthansa which operates from all 6 metros of India has landing permission in Cochin, the next obvious choice, but is still holding back from landing here. And unto this day, barring a few reports here and there nobody has made any worthy efforts for a direct Kerala -US/Europe flight. Under the Airport Infrastructure Policy of 1997, an additional airport within an aerial radius of 150km of an existing airport is not permitted. A sensible directive, but as usual waived under political pressure. 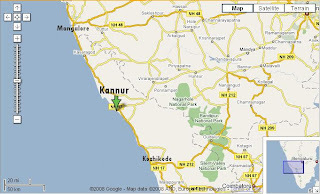 The proposed Kannur airport is just under 80km from Calicut Airport and 125km from Mangalore International Airport. Aranmula, too lies within 100km from Trivandrum and Cochin. God forbid, we will soon have airports at Palakkad, Punalur, Perintalmanna and where else? Think about it, even Switzerland, a wealthy nation double the size of Kerala with showcase cities like Geneva, Zurich and Bern has only 8 Int'l airports(including 2 hubs for Swissair). Isn't there a better channel to spend public money other than wasting it on such political drain holes? ?